Advisors planning ahead for their 2019 travels can start the New Year with a weeklong China FAM hosted by Okichina Travel Service. 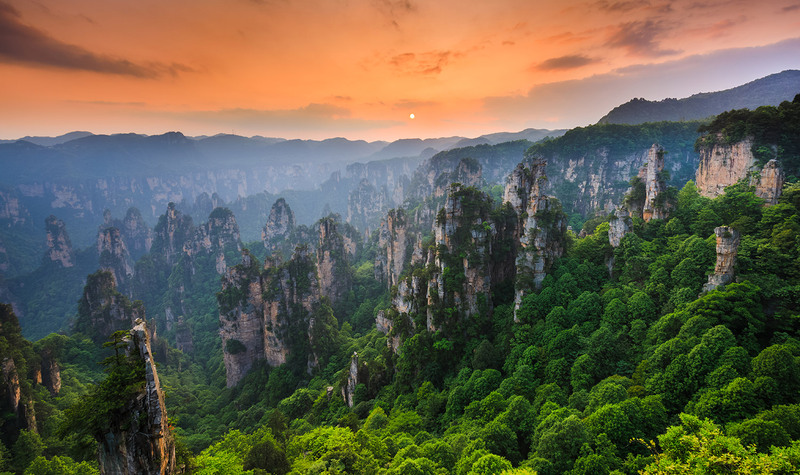 Departing Jan 17, 2019, the Okichina FAM is designed to introduce advisors to several of the highlights of Zhangjiajie National Park, which is home to Tianmen Mountain and the rock formations that many now refer to as Avatar Mountain. The FAM includes visits to three cities in China’s Hunan Province: Changsha City, Fenghuang Ancient Town, and Zhangjiajie. Other highlights include a welcome dinner with the Zhangjiajie Office of Tourism, taking the world’s longest cable car to the top of Tianmen Mountain and traversing the mountain’s suspended glass walkway, and relaxing on a rowboat in Fenghuang Ancient Town. Rates for this China FAM starts at $450 pp dbl or $700 pp sgl. Advisors are welcome to bring up to three guests for an additional $300 pp. This rate includes accommodations in five-star properties, all meals, private tours with an English-speaking guide, all entrance fees, roundtrip airport transfers, and optional excursions. Advisors must book by Dec. 31, 2018 in order to participate, and spaces are limited. For more information, visit okichinatour.com/fam-trip. Also departing in 2019 is an India FAM that includes a complimentary trip to Dubai; get the details here.